"The future is not going to be a black or white." From robots that can flawlessly perform backflips to electric cars that can go over 950 km (600 miles) on a single charge, it is becoming increasingly apparent that the future is far closer than we may have previously thought. If the missteps of the industrial revolution are any indicator, we need to start planning for that future today. And it seems that this is precisely what the United Arab Emirates (UAE) is trying to do. 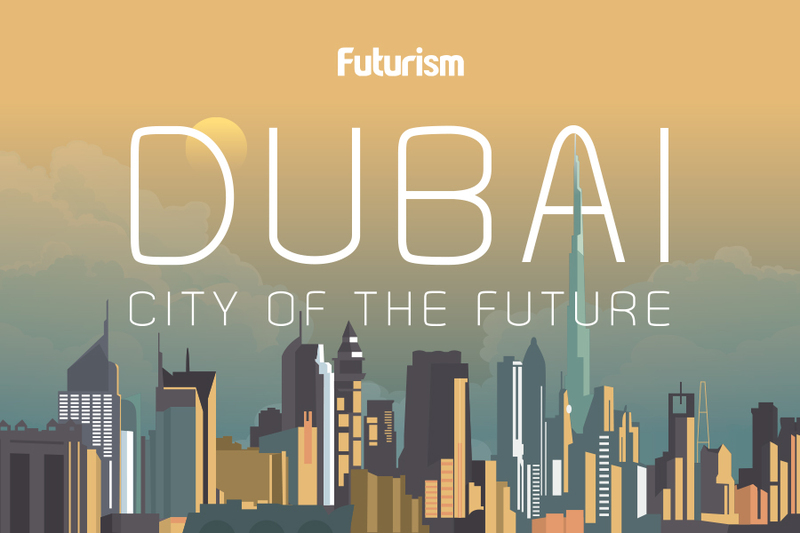 The nation’s efforts are mainly concentrated in the city of Dubai, which is already home to a number of futuristic projects, including plans to create a “Mars science city” and build a real life hyperloop, programs for renewable energy and electric vehicles, and tests for flying taxis and even flying jetpacks. Dubai even has an accelerator program aimed at expediting the creation of these various futuristic technologies. Of course, no plan for the future can be complete without considering the role that artificial intelligence (AI) will play, so on October 19, the UAE became the first nation with a government minister dedicated to AI. Yes, the UAE now has a minister for artificial intelligence. “We want the UAE to become the world’s most prepared country for artificial intelligence,” UAE Vice President and Prime Minister and Ruler of Dubai His Highness Sheikh Mohammed bin Rashid Al Maktoum said during the announcement of the position, according to Gulf News. The first person to occupy the state minister for AI post is H.E. Omar Bin Sultan Al Olama. The 27-year-old is currently the Managing Director of the World Government Summit in the Prime Minister’s Office at the Ministry of Cabinet Affairs and the Future, and he holds degrees in Project Management and Excellence from the American University of Sharjah and a Bachelor of Business Administration from the American University of Dubai. Just days prior to the announcement of this position, on October 16, Sheikh Mohammed officially launched the UAE’s AI strategy. According to the government’s official webpage, it is the first of its kind in the world. Concretely, the UAE’s AI strategy covers development and application in nine sectors: Transport, health, space, renewable energy, water, technology, education, environment, and traffic. For the UAE and Dubai, the potential for AI is obvious, and education is just the beginning. They hope to ensure that the tech eventually makes its way to all sectors of society that can benefit from it — including almost every single facet of modern governance. To that end, they hope to bring governments, organizations, and everyday citizens together. “At this point, it’s really about starting conversations — beginning conversations about regulations and figuring out what needs to be implemented in order to get to where we want to be. I hope that we can work with other governments and the private sector to help in our discussions and to really increase global participation in this debate. With regards to AI, one country can’t do everything. It’s a global effort,” Al Olama said. Today’s biggest tech companies, led by Google and Amazon, want to put AI at the core of their businesses, and the UAE and Dubai hope to do the same for an entire nation.